Bachelor fans have tuned into The Bachelor season 18 every week and watched Juan Pablo slowly narrow down his search for love and whittle away at the bachelorettes. Juan Pablo started the season out with 27 women and, after Episode 7 aired this week, he had hand-chosen his Final Four. Renee Oteri, Clare Crawley, Nikki Ferrell, and Andi Dorfman have each scored home-town dates with Juan Pablo and will be introducing The Bachelor to their families next week during Episode 8. 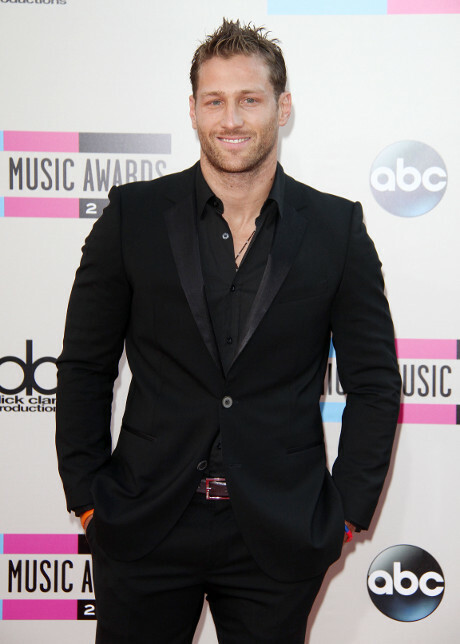 ABC teases that drama awaits Juan Pablo in Atlanta when he meets Andi Dorfman’s family. “The Bachelor’s next stop is Atlanta where he will visit Andi, who also has a test waiting for Juan Pablo. She takes him to a shooting range for target practice. The real question is: will he score with her family? Tough questions wait for the Bachelor, as Andi’s father peppers him in a blunt cross examination. Will it sound the death knell for the couple’s relationship?” In the promo video for Episode 8 of The Bachelor, Andi’s family does not hit it off with Juan Pablo, and her Dad can be seen arguing with him. Despite Juan Pablo’s disastrous trip to Atlanta to meet Andi’s family, she isn’t the woman that he sends home at Episode 8’s Rose Ceremony. Rumor has it that after the home-town dates, Juan Pablo sends home single Mom and Florida native Renee Oteri. At the end of Episode 8, Juan Pablo reveals his Final Three bachelorettes: Nikki, Clare, and Andi. Are you surprised that Nikki, Clare, and Andi are Juan Pablo’s three final women, or do you think he should have kept Renee and sent home someone else?